Also wanted to mention that in many large cities and towns the shelters are overwhelmed. It's not easy finding dogs good, safe homes. There are simply not enough homes for all the dogs that need them, sadly that means that many innocent, sweet dogs are losing their precious lives simply because there is not enough room. Please this holiday season adopt instead of shop. 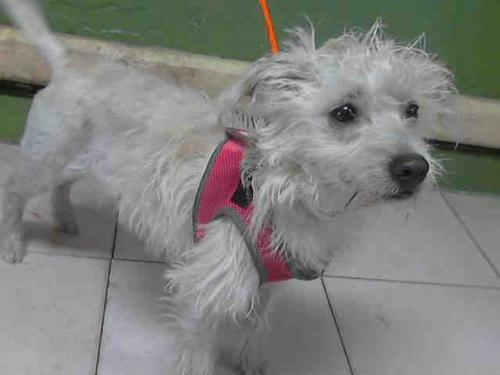 This sweet little 9 month old Terrier mix has no name. She is sitting at the local animal county shelter hoping to find a family and warm bed to sleep in at night. Please lets find her a loving home! 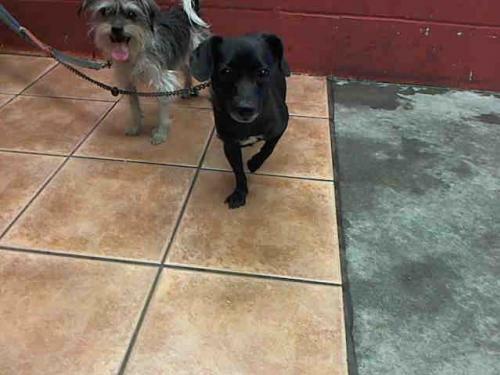 Lilly is a black Chihuahua mix and Luna is a Yorkshire Terrier mix both are around two years old. It would mean so much if these two could find a home together. Look at those precious faces just hoping to find someone to love them and share their love with. Please lets find them a great home! Serena is a Labrador Retriever mix who is about 10 months old. 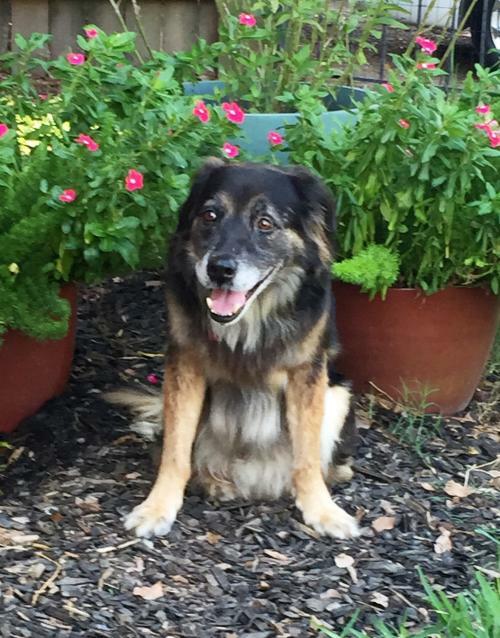 Serena is looking for someone that understands her, she is a little shy and nervous in this great big world of ours. Serena does best with adults only in the household, and would benefit from having a yard to run and play in. She is looking for someone with a big heart and she will return lots of love and puppy kisses in return. Please lets find her a good home! Baby is Poodle mix around 4 years old. He is absolutely as sweet as they come. 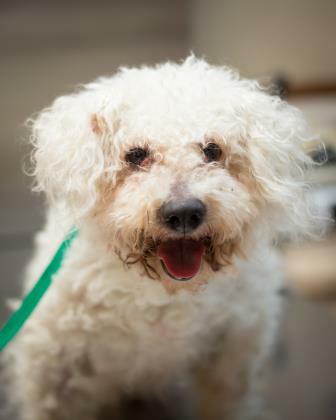 He came to us matted and in need of some extra love, but behind all of those furry knots was the biggest smile you could imagine. 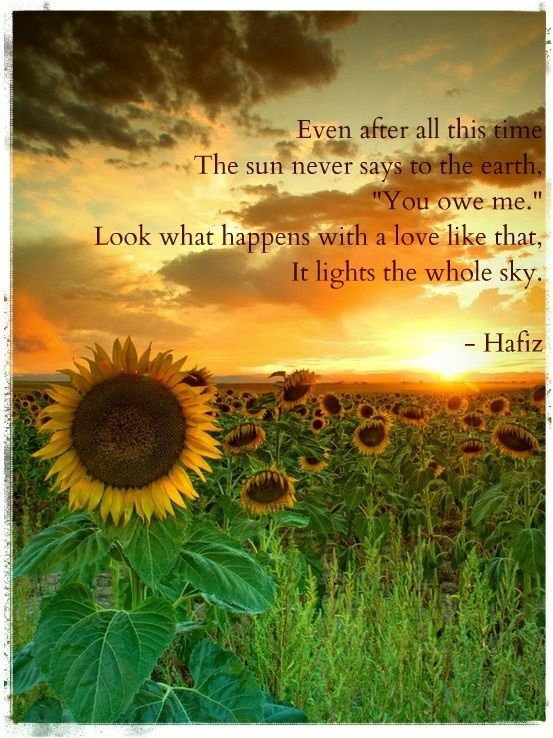 All Baby wants now is love and affection, and you'll receive plenty in return. Please lets find him a loving home! 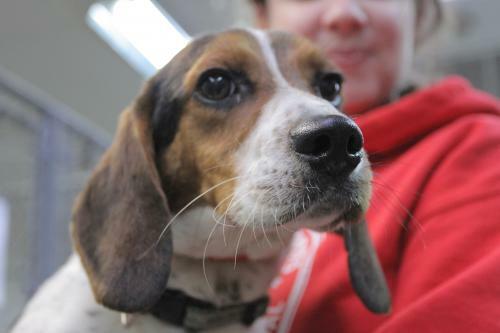 Little Toe is a Beagle who is around 2 years old and 15 lbs. He joined our awesome adoptables from an overcrowded southern facility with some of his friends. He is fully vaccinated, neutered, and microchipped. Please lets find him a great home! 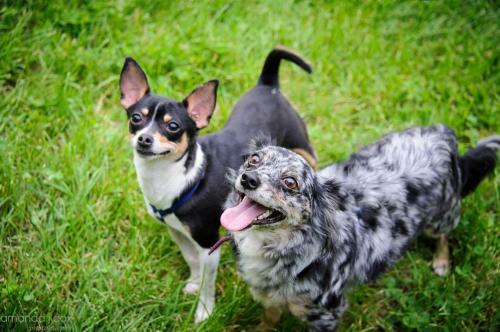 Nick and Patrick are a bonded buddies, they are Chihuahua and Shetland Sheepdog Sheltie saved from Lancaster County, PA puppy mills. They require a very secure, physical fence and must go to a home together. Please lets find them a good home! 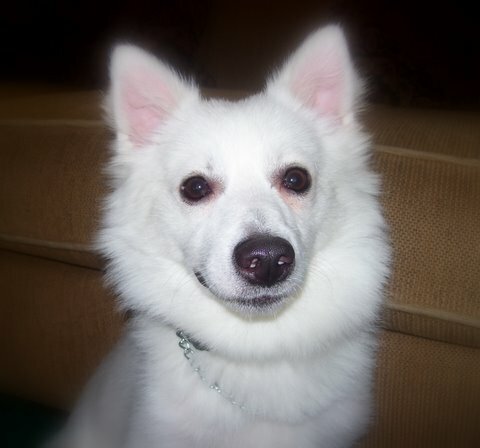 Blizzard is an American Eskimo. He was purchased at a pet store and then the family decided a puppy was too much work and he was too hyper for the kids. They found a new home for him but they were too young to take care of me. They have school, friends, & many other things more important than a dog. He had to get a hair cut because the younger people he lived with cut my hair with scissors. It is starting to grow back out now and one day be as long as it is supposed to be. Then, he was adopted to what he thought was his forever home, but he then found himself in a kill shelter with lots of signs of neglect. He's okay though, but because of his breed & hair he has to be an inside only dog. He loves bathes, getting his hair blow dried, nail clipping, walking on the leash and riding in the car. He even knows how to sit. He is crate trained and almost house trained. It would probably be best if there were no cats. He is very outgoing and agile and needs exercise but also very loving and need lots of attention. 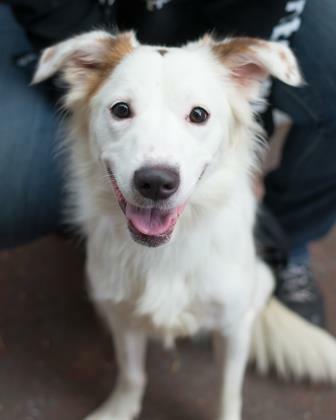 He is a very smart dog and will work hard at being a perfect addition to your family if you are willing to spend some time with him and give him a chance. Please lets find him a loving home! Lucas is Australian Shepherd / Border Collie mix. He was picked up by BARC as a stray showing signs of severe trauma and repeated long time abuse. We immediately got him to the vet to be checked out and have x-rays. As evidenced by the old and new wounds and scars, he’s endured a lot over a long period of time, it’s heartbreaking. When the vet called us to let us know what they found, it was hard to hear. Lucas has a broken leg that has mostly healed; imbedded collars that left multiple scars and open wounds on his neck; multiple pellets in him from people shooting him with pellet guns; a severed quadriceps muscle that prevents him from using his right leg properly; a left hip joint that is out of socket with fractures around it; fractured pelvis and multiple wounds and scars all over his face and body as if he has been beaten or attacked. This precious boy has suffered for literally years at the hands of humans. Despite all of this he's a sweet boy and we decided to have him undergo a pretty extensive surgery to both legs a few months back due to the amount of pain he was in, we just couldn’t wait. 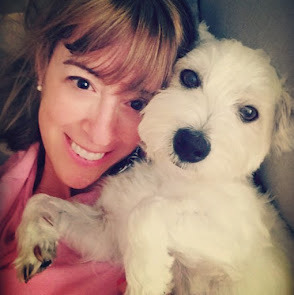 The surgery was a long and complicated one and the vets found foreign objects of hair and wood in our sweet boy’s right leg that had created a tunnel all the way down his leg of scar tissue which was obviously causing significant pain, among everything else. Good news is he came through surgery great and is doing fantastic. He almost immediately started putting weight on his legs which the vets said was amazing. Lucas is good with other dogs and even cats, but would do best in a home without any small children. They just move too fast for him and make him very nervous. He's a love, just a bit timid at first - but who can blame him after all he has endured at the hands of people. Don't let this boy's limp fool you, he can run like the wind when he wants to. He also does a happy dance for mealtime. He's truly blossomed into an amazing boy who loves life. Let's find him a home where he can live happily ever after. Please lets find him a great home!